Mitel systems originally used floppy diskettes for both PBX software and the customer database. Mitel started with the 5.25" (soft) floppy, evolved to the 3.5" (hard) floppy, then to flash media and now Mitels use more modern flash media or hard drives. Having a 'Read Floppy' process complete successfully does not necessarily indicate that the source diskette is good, but if the process fails you can be assured the source diskette was corrupt! If your 'Read Floppy' process completed AND your source diskettes can boot a PBX, THEN you have good indications that your images are reliable. 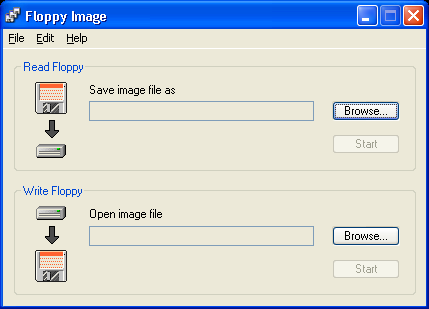 When you run the application, It presents you with two primary options: Read Floppy and Write Floppy. 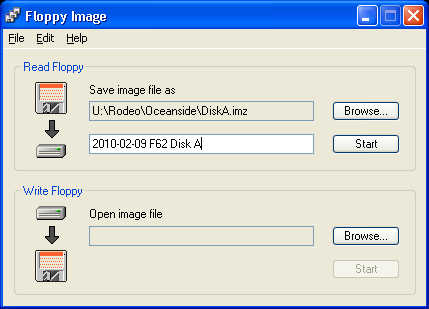 When you're pulling a backup, you'll need to stick to the Read Floppy section in the top half of the application. Otherwise you risk losing the data on your diskette! If you've already made images and want to restore them to new diskettes, you just follow the same basic process, but from the bottom half of the application.